Volume 18. 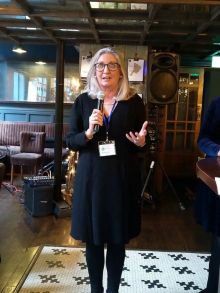 Issue 80. 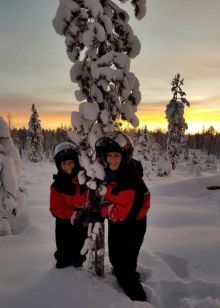 14th December 2018. 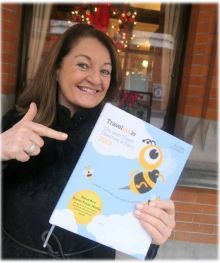 Francine Sheridan (Regional Director, Europe & Middle East Los Angeles Tourism & Convention Board) got her hands on our all new Travelbiz Directory and Diary this week. 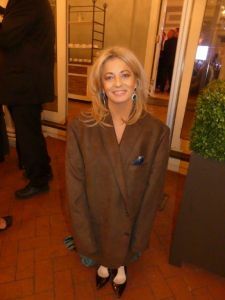 Mary Denton (General Manager Sunway Holidays) wanted a ‘Don Jacket’ at the ITAA conference in Philadelphia and discovered it was a bit on the large side! 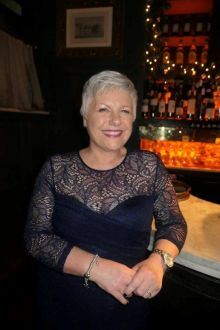 The former head of Global Operations with Innstant Travel took up her new position with the John Cassidy Travel group this week. 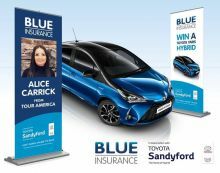 Blue Insurance announced their November finalist and the extension of their Car Promotion to 20th December! 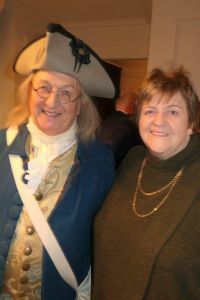 Declan Power (Shannon Airport) made a fantastic effort to embrace all things Philadelphia at the ITAA conference pictured with Marie Grenham (Grenham Travel), where Shannon Airport sponsored the ITAA dinner at the very impressive Downtown Club in Philadelphia. 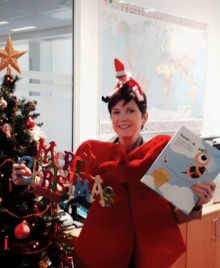 The Emirates ‘Elfie’ crew of Aurelie Tommasino, Jane Masterson, Lotfi Temimi and Sarah Jane Walshe love their all new 2019 Travelbiz Directory and Diary. 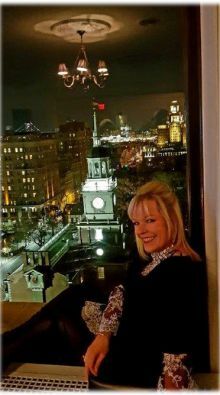 Deirdre Sweeney (General Manager Sunway Worldwide, USA & Niche Holidays) is on top of the World in Philadelphia at the ITAA conference in the Downtown Club. Picture captured by a budding photographer that clicked and went. Nice one Bryan. 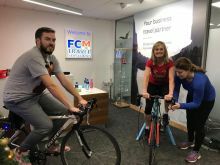 Gabrielle, Val, Jim, Anne and all the FCM Travel Solutions team literally cycled from 9 to 5 to raise much needed funds for Focus Ireland. 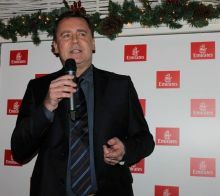 The now infamous AWTE Ireland Christmas lunch took place in Cleaver East Restaurant, Dublin. 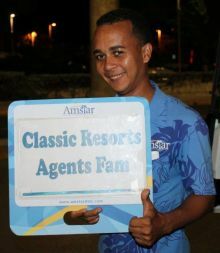 Classic Resorts in the Dominican Republic. Congratulations Shane and Jenn. 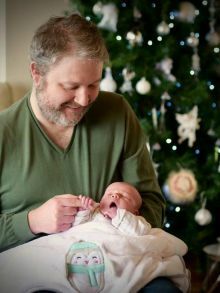 A big Travelbiz congratulations to our valued colleague and friend Shane Cullen and his wife Jenn on the birth of their new baby son Isaac. 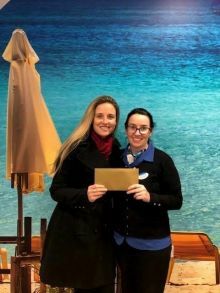 Corina Kenny (O'Learys Travel Wexford) won two Etihad Business class tickets to Abu Dhabi in the recent Etihad Airways Business Class competition. 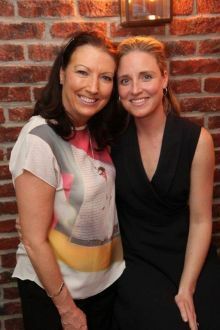 Corina is pictured receiving her amazing prize from Shannon O'Dowd (Etihad Airways). 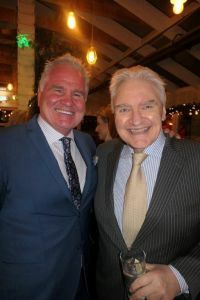 Rugby legend and TV personality Gerry Benson with Brent Pope at the Emirates Christmas BBQ party.